Acceptance speech from Robert De Niro & Joe Pesci with intro by Zac: watch here. I dedicate national #BestFriendsDay to my imaginary BF, @champagnepapi. Always there on my shoulder when things get tough. Who's the mini Drake in your life? Also, Dwayne talked about the tone of the movie with Collider (starting at 3:05). Diane Keaton was on Ellen playing "Who Would You Rather?" Watch it here. Talk of Zac starts at around 3:45 but for context you should probably start earlier. Gosh, I hope Mike and Dave will be good. Yuck, that hair. Is this what happens when Zac doesn't have a girlfriend to manage his life? Please, bring back the Zac of the 2006 photo when he was a real cutie-pie, and not the grizzled old guy we see today. 2006 - bleh! Not my brand of tea for sure. I think he looks tons better now - I like him rough and tumbled, just not drunk and drug-addled. I do, however, have a burning desire to teach him how to do his hair. Using a round brush is good, but overdoing it (with his curls) can look forced. You know, Kleth, you may have to trade in for a younger model to get that 2006 look. Zac is getting older (and better) these days. 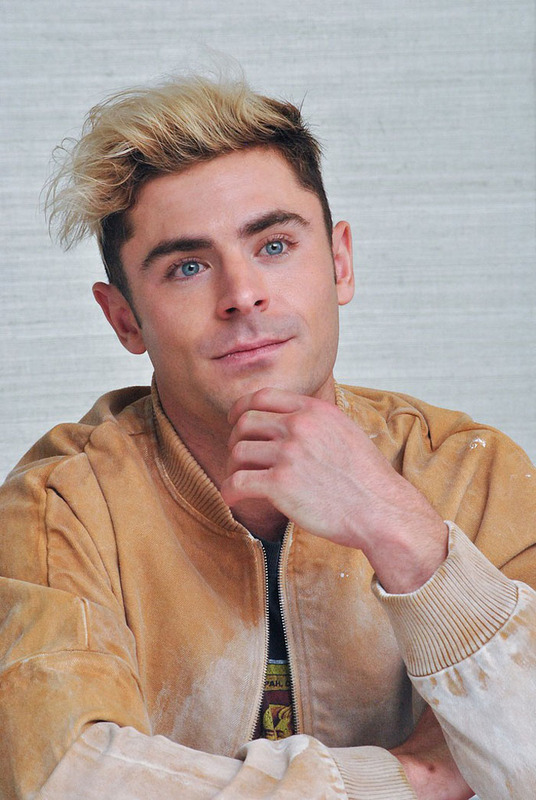 "Zac is getting older (and better) these days." Well, he is certainly getting older. But I don't see this development as an improvement so much as the beginning of the long decline into old age and decrepitude. Youth is overrated. Aging is a choice. I am happier (and much more emotionally stable) now than I was at 16 or 18 or 21. I'm also smarter, wiser, more independent, and over-educated. Fitter and healthier? Yes! I wouldn't trade places with my 16 year old self for all the money in the world. The only thing I miss is the quickness of my undeveloped brain at that age. "Good. Every gentleman should have an occupation." Or something like that. For my part, I not only smoke* but I also visit the EHS Wildcats LiveJournal page almost every day. * My primary care physician recommends exercise. He also says I should quit smoking. But Doc, I protest, smoking is the only exercise I get! The Importance of Being Earnest! I chose dear Oscar as my primary figure (although I prefer Zac's figure) and thus have the delicious necessity of reading everything he wrote and taking a big test on him as part of my comps. Oscar would also have preferred Zac's figure, so you have that in common. Early in the week, Anna and Aubrey were on Good Morning America, talking up Wedding Dates. Then last night I saw a full promo TV commercial. I am beginning to think they are really serious about releasing this movie. Just two weeks until Thursday previews. Pant, pant.